Last week we covered Diablo’s plans for Khanduras and Tristram. We discussed how they were foiled by Aidan, son of King Leoric, and his allies. And we mentioned the cost — how the kingdom was left nearly destroyed and leaderless, defeated in war with Westmarch, with demons haunting Tristram and the Cathedral in whose shadow it lay for years. 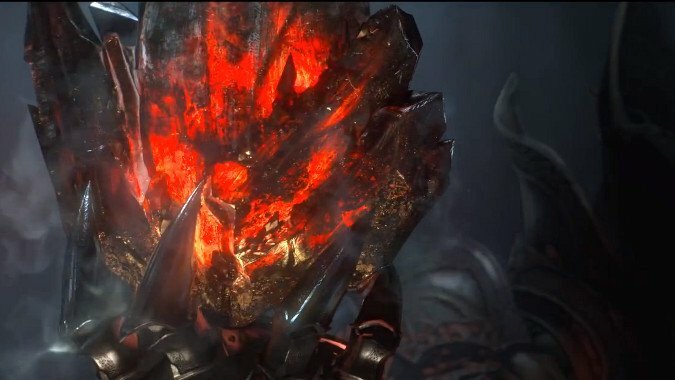 After Diablo’s defeat, Aidan held the damaged Soulstone once used to imprison the demon lord, and he decided (perhaps urged by Diablo himself) to attempt to contain the Lord of Terror by using his own body as a prison. Thus, at last, Diablo finally had a host the Lord of Terror could make the most use of. Aidan left Tristram soon after. And the Hells followed hard in his wake. Archbishop Lazarus had damaged Diablo’s Soulstone in freeing him, and so the demon lord began to incubate within Aidan as soon as he chose to try and imprison the Lord of Terror. Before he left Tristram, Aidan and the witch Adria were known to have spent time together. What none knew was Adria spent that time pledged to the service of Diablo, and that her relationship with Aidan was all part of the schemes of al-Diabalos. In time, Aidan would leave Tristram. Eventually, Adria would follow, to prepare the path for her master’s great work. Aidan’s departure from Tristram was followed by demons and none could be spared to follow the man. Half-mad with the voices whispering in his brain, Aidan headed east, confiding only in Deckard Cain (last of the Horadrim and his adviser during the original battle with Diablo) what had really happened in the Cathedral, and muttering to himself that he sought “his brothers” on his journeys. Aidan died on the way east, long before his body stopped moving. The being men would see, armed with a sword, hooded and cloaked, was a dark wanderer, a figure seeking damnation for all the world. A stop in a monastery corrupted by Andariel was followed by a stop in a tavern in the mountains of Aranoch — here Aidan lost his battle with Diablo once and for all, and the demons that erupted from his body slew everyone in the tavern. Everyone save Marius, that is. Marius himself wasn’t particularly important before the Dark Wanderer, Diablo in Aidan’s body, chose him to accompany him on his journey. The man was a drug addict and a vagrant, but in his journey with the Dark Wanderer he learned much of the man’s past, and the nightmares bred of his first encounter with the evils of the Burning Hells warped into dreams of the past, of the trapping of Baal in the body of Tal Rasha. The Wanderer knew of Marius’s dreams, of course. He told Marius that what he had dreamed was the brother the Wanderer sought, and his tomb was near. In the Aranoch desert, Marius and the Wanderer found the Tomb of Tal Rasha, the Horadrim mage who served as the eternal prison to the Lord of Destruction. The Wanderer would have freed Baal on the spot but for the intercession of Tyrael, the Archangel who’d founded the Horadrim order, taught them the secret of Soulstones and oversaw Baal’s imprisonment within the body of Tal Rasha. While Tyrael battled Diablo in his host body, Marius fell prey to the whispers of Baal within the corpse of Tal Rasha, or perhaps the spirit of Tal Rasha himself begging for release, and stole the Soulstone from the corpse, allowing Baal to free himself. 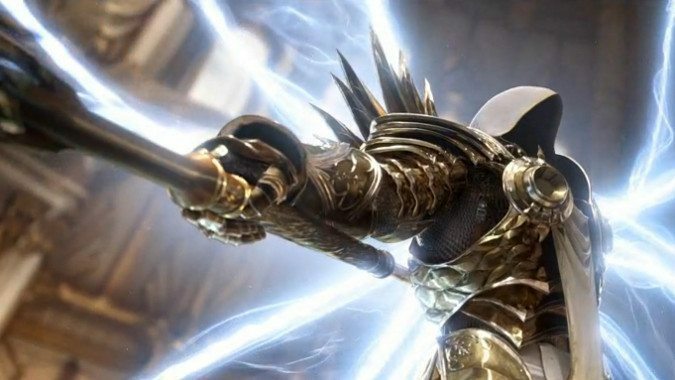 Tyrael, outnumbered two to one against Diablo and Baal, shouted to Marius to take the Soulstone to the Hellforge, through the portal to Hell itself, and destroy it. Following Tyrael’s instructions, Marius flew for Kurast and then Travincal (the religious city of the Zakarum faith, connected to Kurast) seeking the Temple of Light, the bastion of the Zakarum. While he did so, Diablo and Baal arrived before him, and freed Mephisto from his long imprisonment, allowing the Lord of Hatred to possess the Que-Hagan of the Zakarum, Sankekur himself. 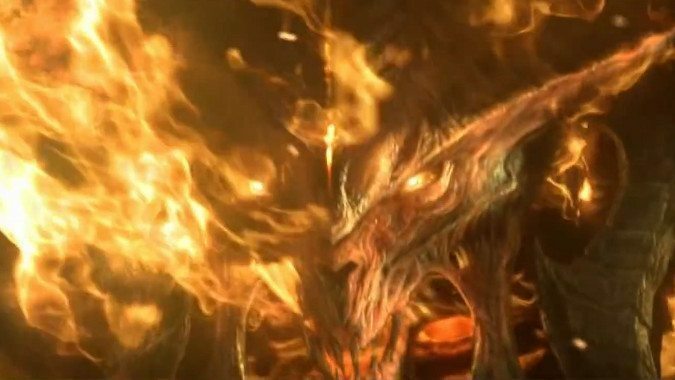 With the three together again, Diablo finally shed the human form of Aidan completely and assumed his demonic form, and stepped bodily into Hell to prepare for the final culmination of the Prime Evil’s scheme to taint the Worldstone and with it the world it had created, Sanctuary. 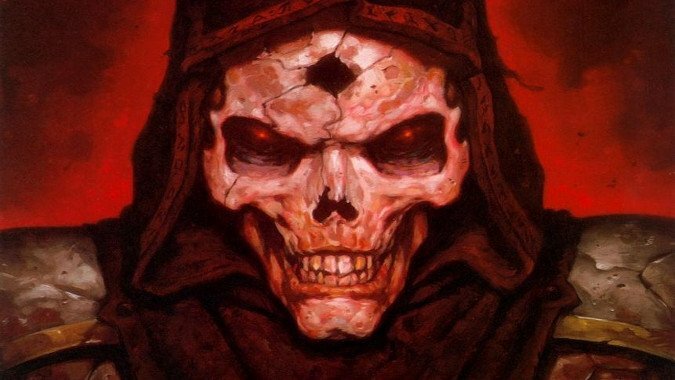 Marius broke in that moment and fled with Baal’s Soulstone, and thus, when a group of adventurers finally hunted the Lord of Terror down and destroyed him, and then used the Hellforge to shatter his and Mephisto’s Soulstones, Baal escaped that fate and ultimately executed Diablo’s plan. Tyrael stepped in and destroyed the Worldstone to prevent it from being corrupted, and in the end it seemed the menace of the Prime Evils is forever ended. Twenty years later, Sanctuary sees the coming of the Fallen Star, which crashes into Tristram Cathedral and in so doing awakens King Leoric’s corpse, which rises once again as the Skeleton King. The Fallen Star was revealed to be Tyrael, who’d allowed himself to fall from the Heavens because of the danger presented by the two remaining Evils, Belial and Azmodan. Along with Deckard Cain, his ‘niece’ Leah (who would be revealed to be the daughter of Adria and Aidan), and an adventurer who would be revealed in time to be a Nephalem, heir to the power of both the angelic and demonic sides of human heritage, Tyrael sought to oppose the last two of the Great Evils, and even though it cost Deckard his life, ultimately they were successful. Leah was reunited with her mother Adria, and learned of the Black Soulstone, an artifact created by the rogue Horadrim Zoltun Kulle. Using this artifact, Leah unlocked the wild power contained within herself to first return life to Kulle’s body (before the Nephalem slew him) and later to help capture Belial and Azmodan within the stone. All seemed well. Until Adria showed her true colors, and eagerly sacrificed the young woman she mockingly called ‘daughter’ to serve as a host body for her true father. It was not Aidan who’d lain with Adria, but the Dark Wanderer, the host body for Diablo himself, and it was Diablo who sired the girl. So, at the moment of triumph over the Great Evils, Adria executed the last part of Diablo’s plan, and freed all seven of the Evils into Leah’s body. Thus did Diablo live again, and this time, containing the power and malevolence of all seven of the Great Evils in one form. No longer merely the Lord of Terror, Diablo was now the Prime Evil. Heaven nearly fell to the astonishing power of this new Prime Evil. Diablo no longer had rivals among the demon lords — there were no squabbles, no debates, no refusals to cooperate nor ultimate plans to backstab and betray one another. With the power of all three Prime and all four Lesser Evils in one being, Heaven’s gate was destroyed and Diablo’s hosts marched on the Crystal Arch itself, the wellspring of all angels. Had it fallen, the Heavens would have been destroyed. Instead, the Nephalem marched bodily into Heaven itself on the heels of the Prime Evil, and as powerful as Diablo now was, it was no match for a being combining Hell and Heaven, just as Anu had in the time before creation. Diablo fell. Evil was defeated. The world of Sanctuary and the High Heavens were saved. The essences of the seven demon lords were drawn again into the Black Soulstone, and all might have been well, if not for the coming of Malthael the self-proclaimed Angel of Death. But Malthael did come, planning to kill all humans, and in the process of his battle with the Nephalem the Death Angel shattered the Black Soulstone and used its power. And so, as the Angel of Death died, Diablo was free once more. Is he still a singular Prime Evil, capable of wielding the power of all seven? Or have all of the Great Evils escaped as well, to once again squabble and bicker over the fate of the Eternal Conflict? Only time will tell. But one thing is clear — if any being has planned for this contingency, Diablo has.